The founders of Clare and Material have become invaluable allies as they build their respective businesses — all thanks to neighboring offices. Nicole Gibbons and Eunice Byun have very similar tastes. 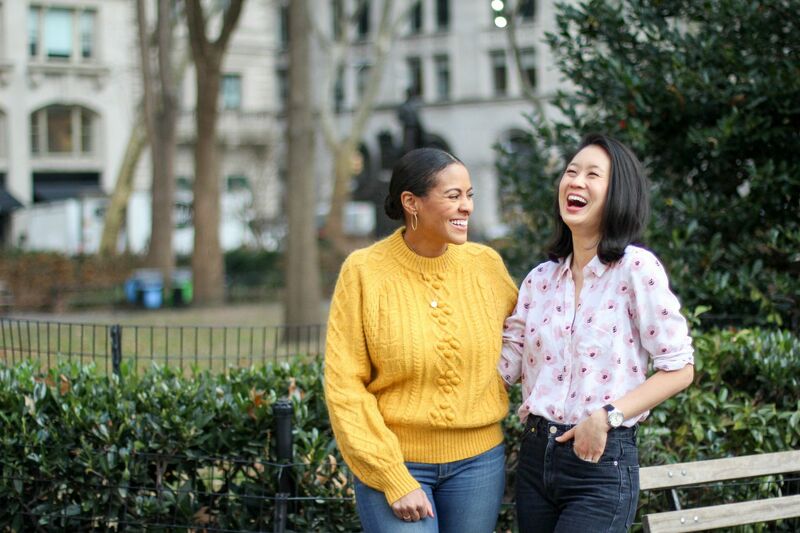 Both created direct-to-consumer brands in the home space — Gibbons as the founder of paint startup Clare, and Byun as co-founder of kitchenware brand Material — and both selected to house their businesses at The Yard, a New York-based coworking space. Thanks to that geographic proximity, the two met, became fast friends, and soon, business confidants. They now view each other as a sort of peer-mentor support system and chatted with Entrepreneur about how their relationship keeps them sane and their businesses growing. Nicole Gibbons: We met at a breakfast hosted by [public relations firm] Jennifer Bett Communications. Eunice and I ended up sitting at the same table. When the breakfast wrapped up we asked each other where our offices were and, because they were a block apart, split a cab. During that ride, we realized we both went to Northwestern, both set up our companies at coworking space The Yard — neighboring locations — and we had all this stuff in common. NG: It’s also nice that our companies are both at similar stages — we’re going through a lot of similar things. If Eunice had been further along or if my company was more mature, we may not have had much common ground. But we’re building at the same time. EB: Oh God, so many. We talk about partners, who we’ve used for fulfillment, potential vendors that we’ve already spoken to — when you have such lean teams, having someone trusted that might share a short list of folks they’ve already vetted, that makes it a lot easier to take it and run with it. How do you handle accounting? Have you had success with any of these marketing platforms? We get pretty transparent and real. Yes, there are a lot of events and talks for founders, but the challenge of being in the early stage is that everyone projects this shiny veneer. But with Nicole, it’s always open and honest.